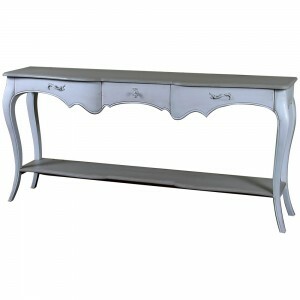 A unique console table, featuring gorgeous elaborate patterns below the surface of the table creating a traditional french design. Fabulously crafted for a shabby chic style and finished in the colour black. A perfect way to compliment any room and make a statement.